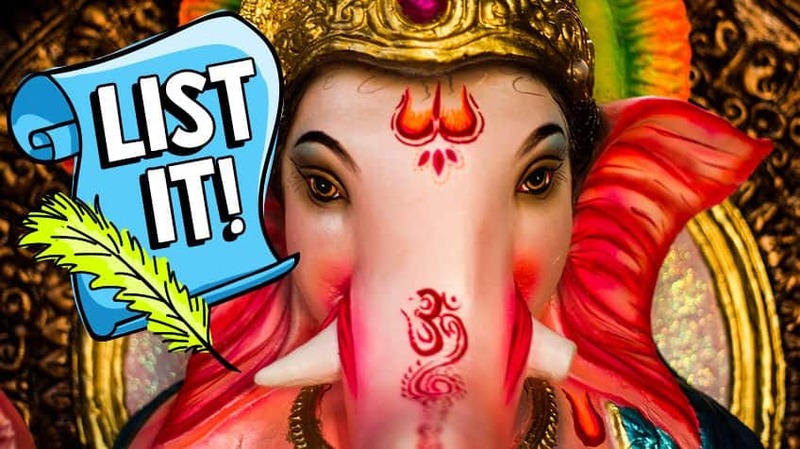 September 13th is Ganesh Chaturthi (say “GAN-esh CHA-tur-tee”)! That means it’s the Hindu god Ganesh’s birthday. Many Hindus around the world celebrate by praying, singing and dancing. Keep reading to find out more about the god behind this special festival. Ganesh has an elephant head. 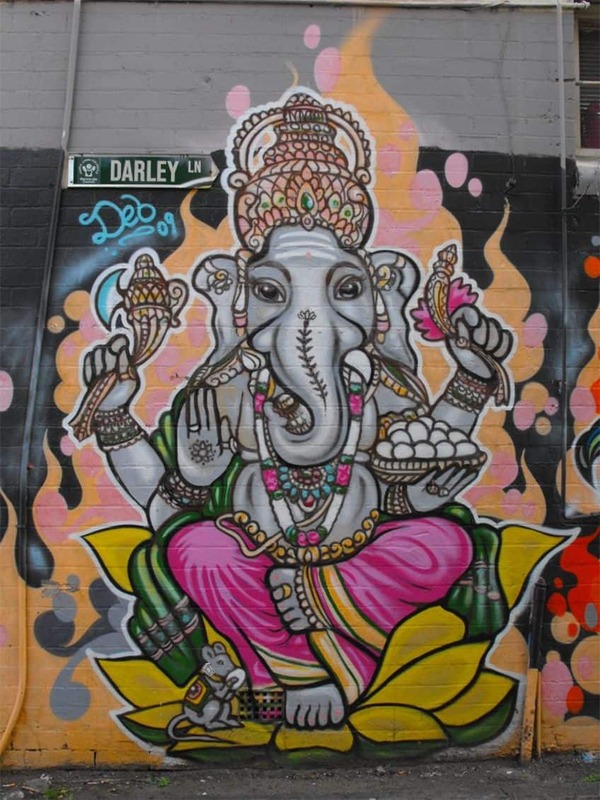 You may recognize Ganesh — he’s famous around the world for his elephant head. Having an elephant head makes Ganesh special. He has all the wisdom, loyalty and compassion of an elephant and his large ears means he can clearly hear the needs of his people. 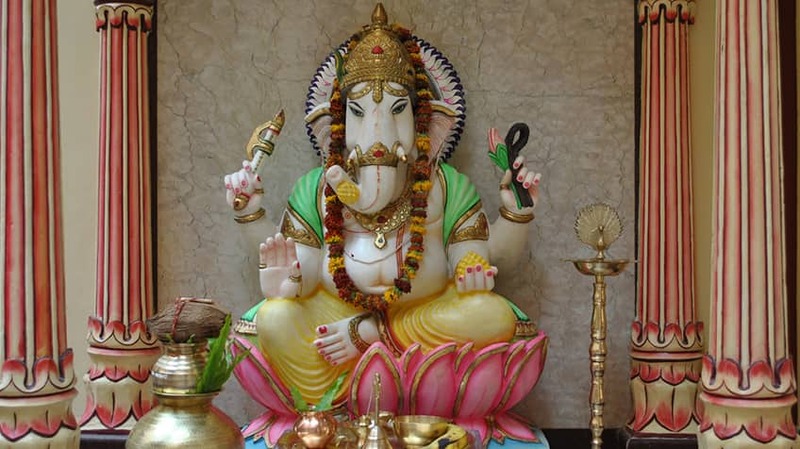 He is one of the most popular Hindu deities. There are lots of Hindu gods and goddesses, but you’ll find images or idols of Ganesh in most Hindu homes. 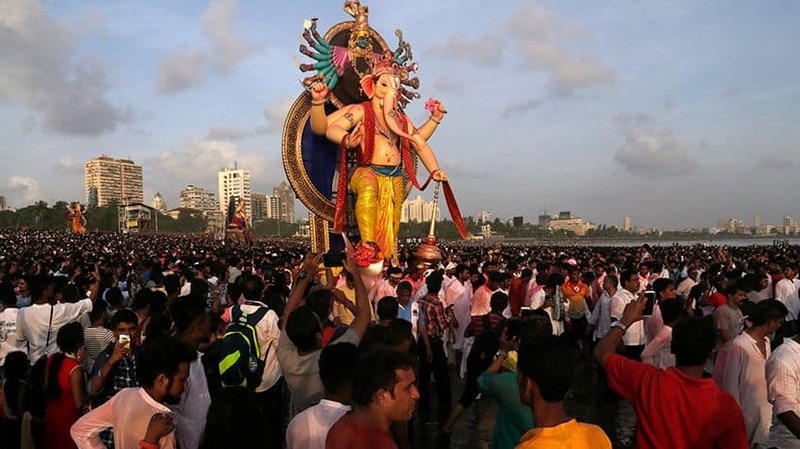 This is because Hindus believe Ganesh is the “remover of all obstacles,” so they pray to him before any ritual or new event because his blessing will make things go smoothly. It’s true! 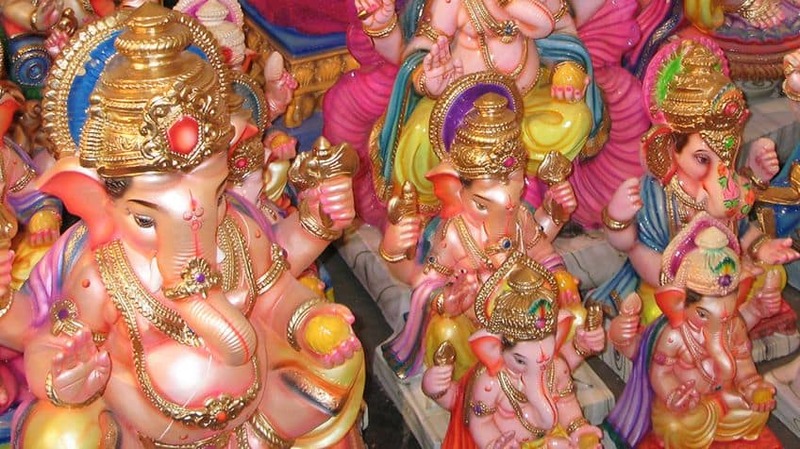 In most images of Ganesh, you’ll see him holding some sweets called laddoos (say “LUD-Doo”). 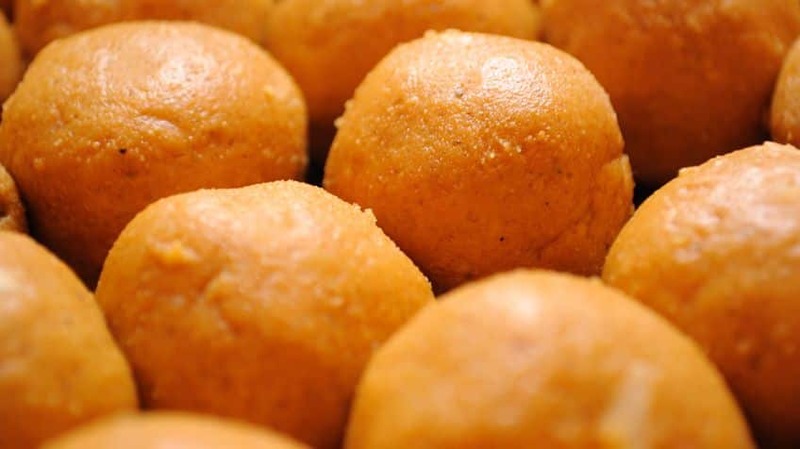 These delicious round treats are Ganesh’s favourite, and offerings of sweet foods, like laddoos, are often made to him. He is a mouse-riding god. Many Hindu deities ride a special vehicle, or mount, in the form of an animal. Ganesh is seen with different animal mounts, but one of the most common is a mouse. But this is no ordinary mouse. In one story, it was an evil demon that Ganesh fought and was able to trap. The demon promised to carry Ganesh wherever he went from that day on. Ganesh won a race with his mouse mount. He did! One day, Ganesh had to race his brother, Kartikeya, to see who would be chosen to take care of people on Earth. They had to race around the universe, and the first one back would win. Kartikeya thought there was no way he could lose. He had a speedy peacock mount and Ganesh had only a mouse. Kartikeya took off as soon as the race began, but Ganesh slowly circled his parents. When he was finished, he said he’d ended the race. The gods looking on didn’t understand. So Ganesh explained that he respected and loved his parents so much that when he circled them, he circled his entire universe. 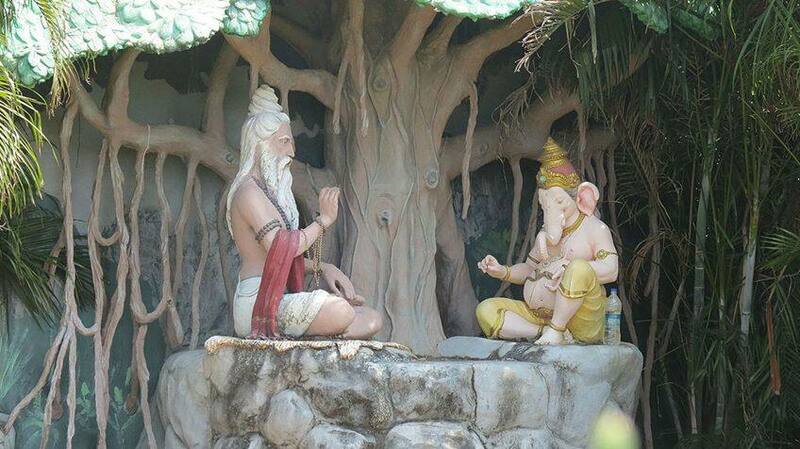 The gods decided Ganesh had shown wisdom and loyalty, so he should be the one to take care of people on Earth. He wrote an epic poem. Well, technically he wrote it down while the sage Vyasa spoke it to him. As Ganesh was writing the poem, his pen broke. But Ganesh had agreed to write the poem without stopping, so he broke of his tusk and used that to continue writing. This is one explanation of why Ganesh is always shown with a broken tusk. And the poem he was writing? It’s called the Mahabharata (say “MAH-ha-bar-at-tah”). It is one of the oldest and most important Hindu texts. Ganesh and the moon don’t get along. A story tells how Ganesh once went to a feast for his birthday, but he ate so many laddoos that he toppled over when trying to get up. 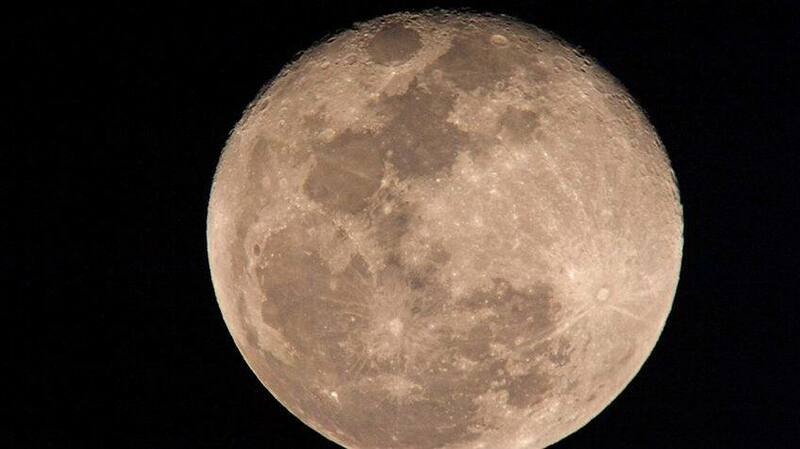 Seeing this, the moon laughed at him. Furious, Ganesh cursed the moon and anyone that looked at it on this day. In some places, Hindus still avoid looking at the moon on Ganesh Chaturthi because they believe it is unlucky.